Come on Canada! Get onside with Wayne Gretzky and cheer for Blackberry. 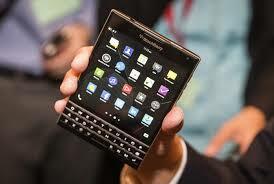 The new Blackberry Passport is more than a smart phone, almost a full-featured tablet. I like it and think it will be a winner for Blackberry. Maybe not a quick fix for the company turnaround, but a clear departure from trying to follow the leaders - Samsung and Apple - with another consumer friendly wannabe. Focused on "serious" users of the smart phones who appreciate the real keyboard and high security features over games and cute apps to impress their friends. You may think I'm only interested in pumping up the sickly share price, but I'm OK holding on for $20 a share and we're not likely to get their soon, even with a Passport. I think the company has put in place more competent, less ego-driven management and a strategy to leverage its substantial strengths into market success. A new and improved Blackberry that Canadians can be proud of again.